This 18-year-old actress, singer, and feminist does it all… in style. Welcome back to Underrated Icons, a column that looks at the styles of icons past and present, specifically icons that don’t always get the credit they deserve. In past posts, we’ve profiled amazing and accomplished modern feminists such as Ruth Negga, Emily Ratajkowski, and Halsey. In keeping with this theme, I decided today to highlight a person who has done a lot for the movement at such a young age, 18-year-old Amandla Stenberg. Having begun her career as a child actress and model, Amandla is now best known for making us all cry as Rue in The Hunger Games. But more recently, she’s acted in Rio 2, appeared in Beyonce’s visual album Lemonade, and has booked upcoming lead roles in Everything, Everything and Where Hands Touch. In addition to acting, Amandla sings in a duo called Honeywater, and is even the co-author of a comic book. 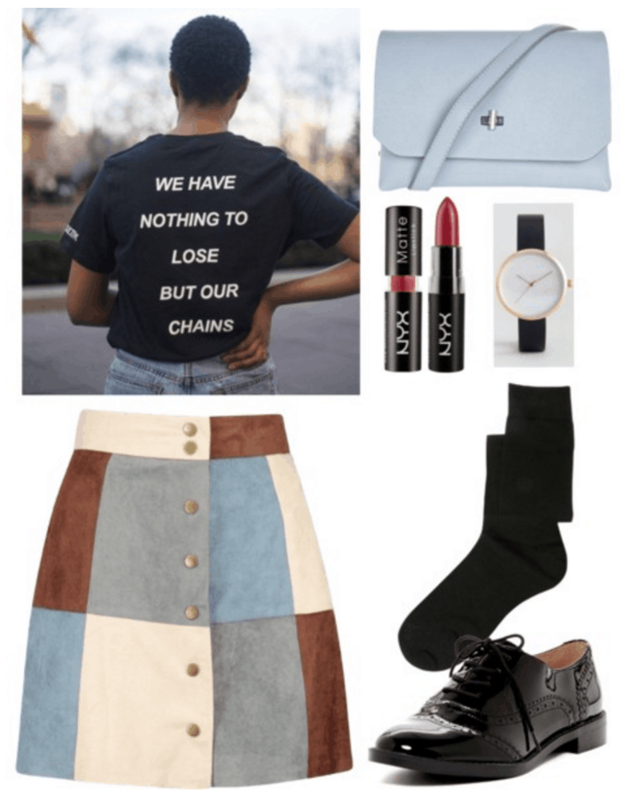 It’s no doubt that Amandla is crazy inspiring – so why not channel her with your ensembles, as well as your daily actions? Here’s how to get Amandla’s fun and unique sense of style. Where I am, it’s still freezing and snowy – ugh. 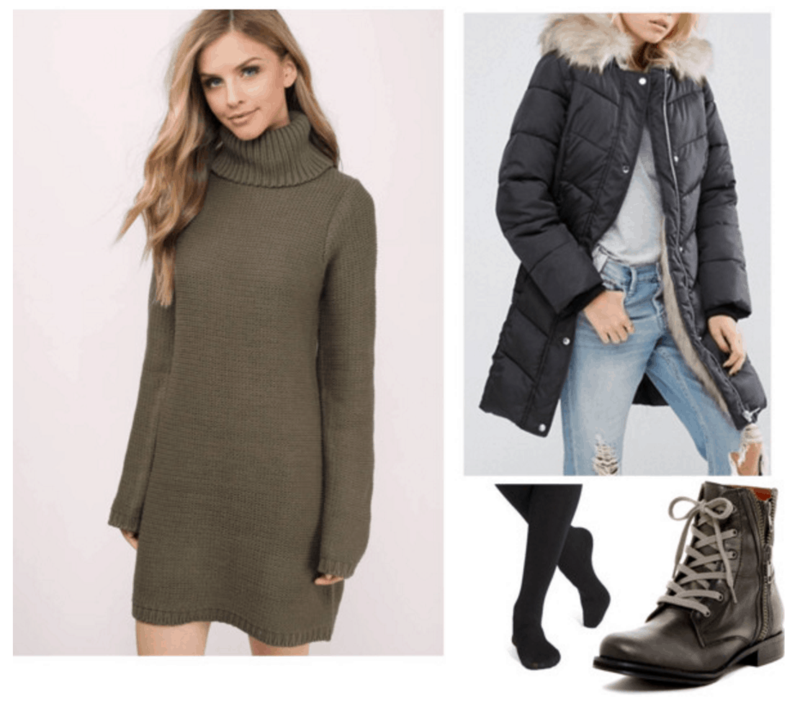 In this outfit inspired by Amandla’s Sundance 2016 look, you can fight the cold while looking badass by pairing an army-green sweater dress with fleece tights, a cozy puffer parka, and combat boots. Amandla does not shy away from rocking bold, bright colors: Her style, like her approach to life, is fearless! So when the weather gets warmer, embrace your spring fever with a pop of color. 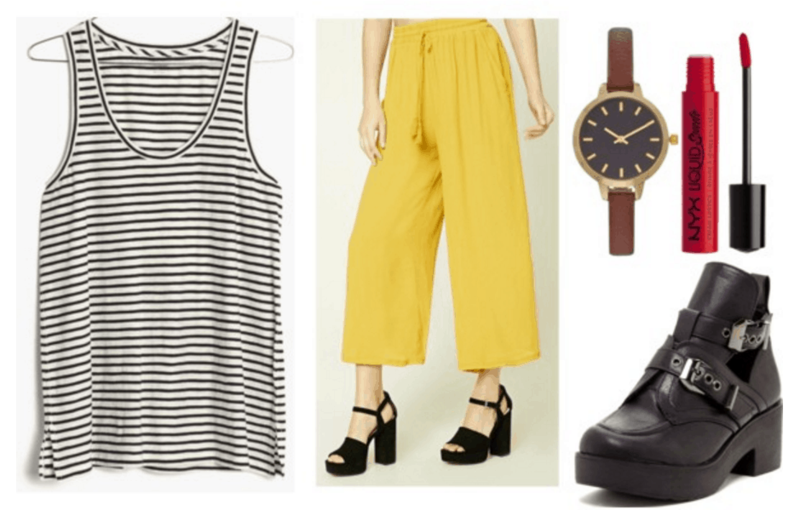 A classic striped tank top paired with canary yellow culottes is an eye-catching combination. Keep the vintage vibes going with a brown and gold watch and red lipstick, but modernize the look with edgy black chunky boots. For those looking to make a political statement, let me introduce you to 1950 Collective, an online store run by two college women. They have a collection of original graphic tees with social justice-inspired sayings and designs called “Take No Sh**,” and all of the proceeds go to a charity that has to do with the saying on the shirt. The proceeds of this shirt, featuring a powerful quote from activist Assata Shakur, go to Black Lives Matter, a cause Amandla supports. For the rest of the look, add a faux suede skirt, over-the-knee socks, and black oxfords. For accessories, a blue bag that matches the skirt and a sleek watch pull it together. Add a swipe of badass red lipstick and you’re good to go! 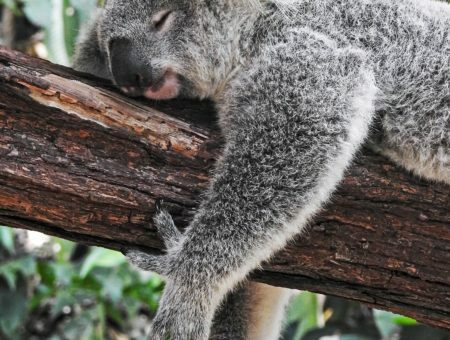 Are you a fan of Amandla? Do you consider yourself a feminist? Have any requests for who you want to see in the future? Let me know in the comments!